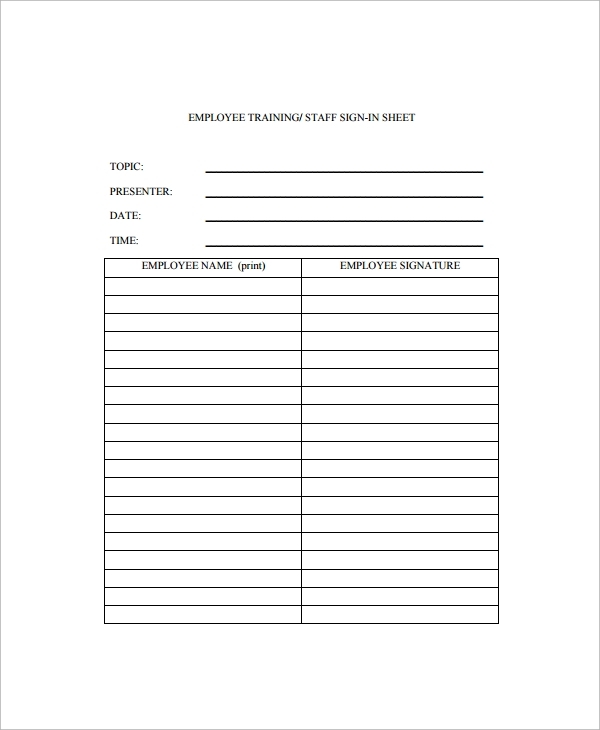 An employee sign in sheet is necessary for monitoring and security purposes and it acts as evidence that an employee checks in at work. 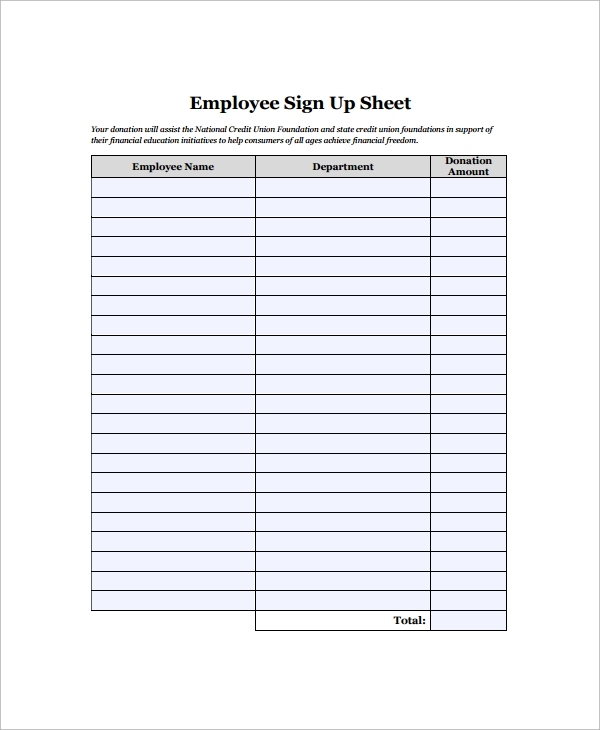 A well-designed employee sign in sheet template reduces for the task of creating one and the fact that it is printable allows you to have as many copies as you need. 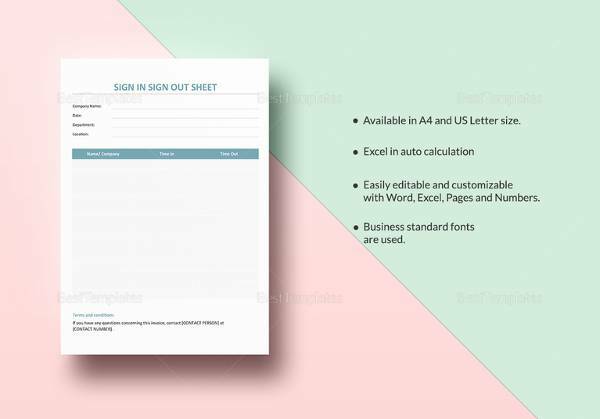 An entity’s persistence in using an employee sign in sheet template also shows the professionalism your business upholds and can attract investors. 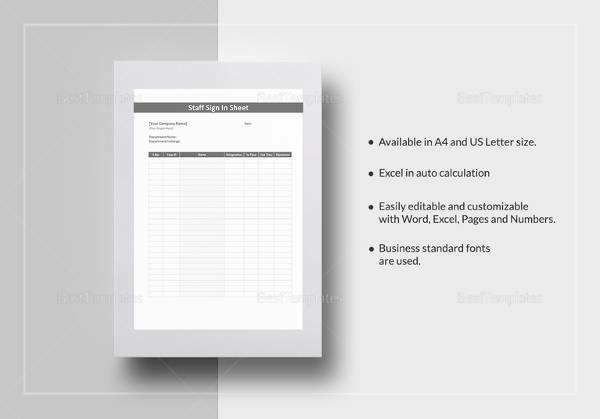 You may also like Sample Open House Sign in Sheet Templates. It comes as a free pdf document. 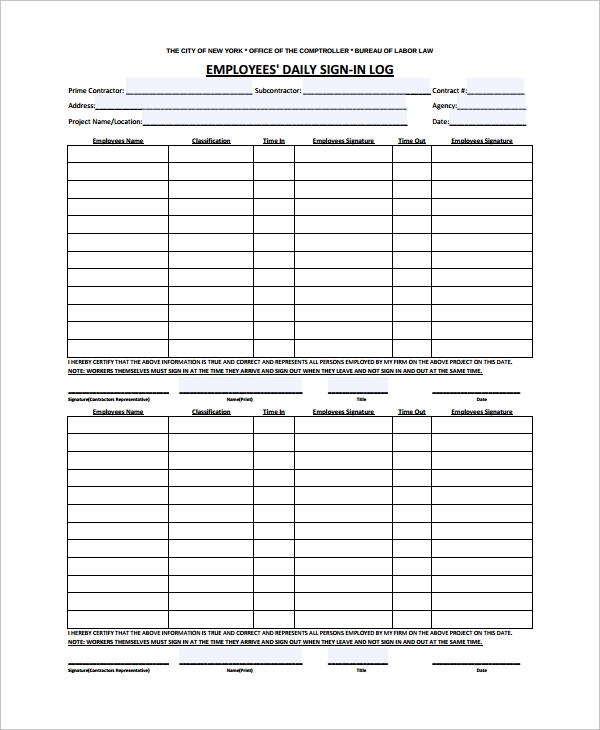 The heading of the paper should be the name of the entity and that should be followed by a subheading “employees’ daily sign-in log” to give the form an identity. The names of the supervisors of the enterprise should be listed, together with its address. 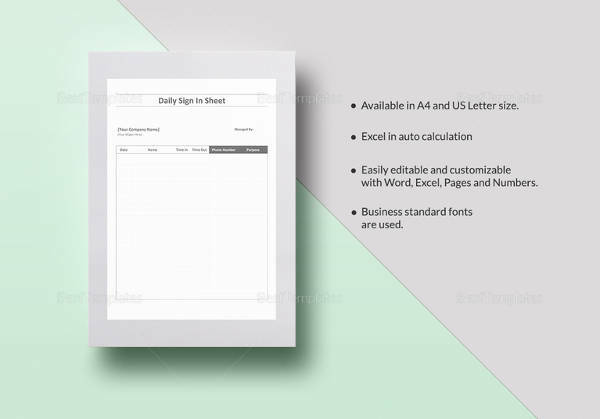 The function of the entity should also appear with the date. 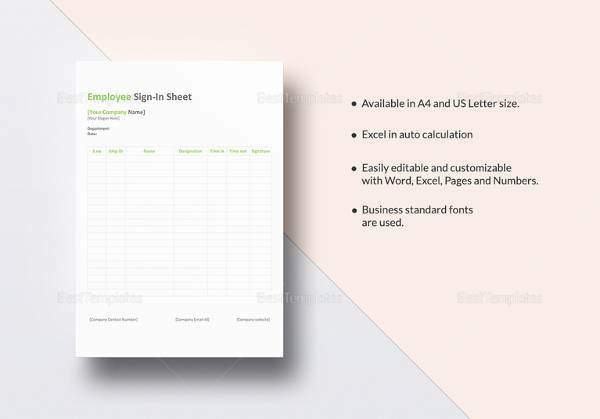 Next, is a table with columns which you need to fill out the employees’ names, their role in the entity, the time in for an employee, the employees’ signatures, the timeout and the employees’ signatures again. Finally, the model includes the witnesses’ signature and the date. 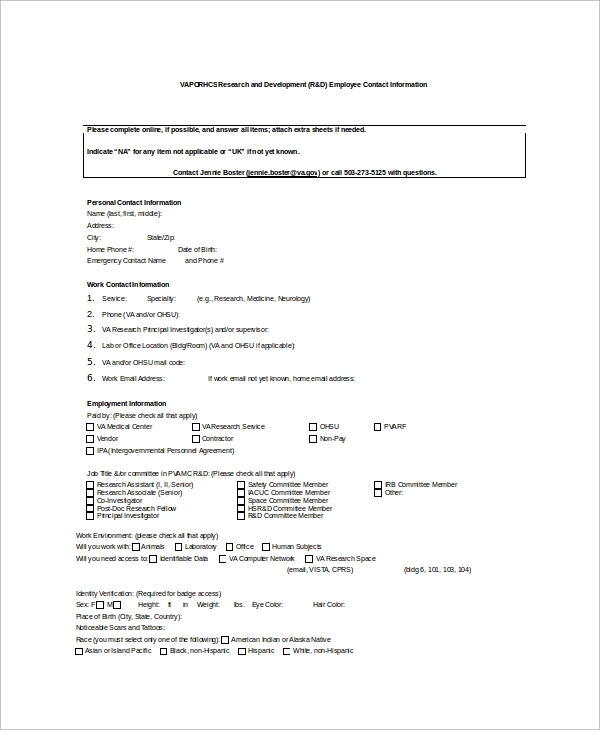 The document requires you fill out the name of the employee and the department which he or she works. 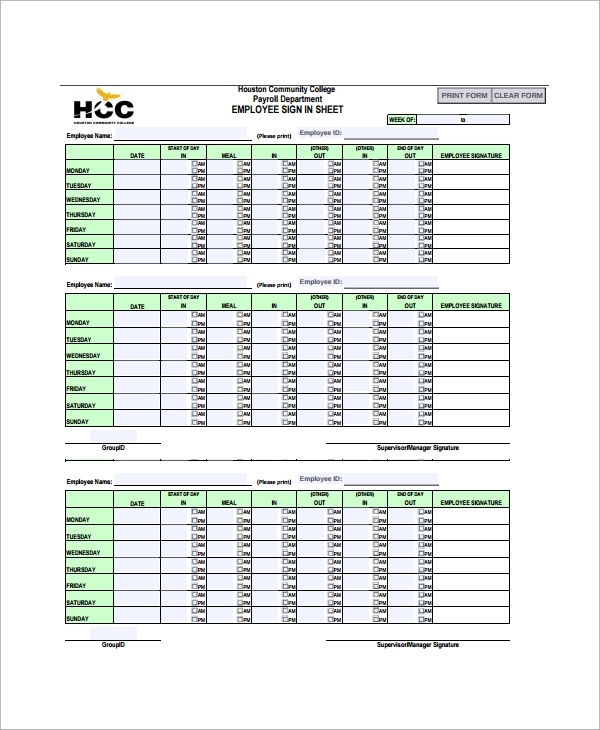 Next, you indicate the supervisors name then proceed to a table with columns. On the columns you are required to fill the date, the employees’ work start times, their work end times, hours many regular hours they spend on the job, overtime hours and the total hours worked in the day. 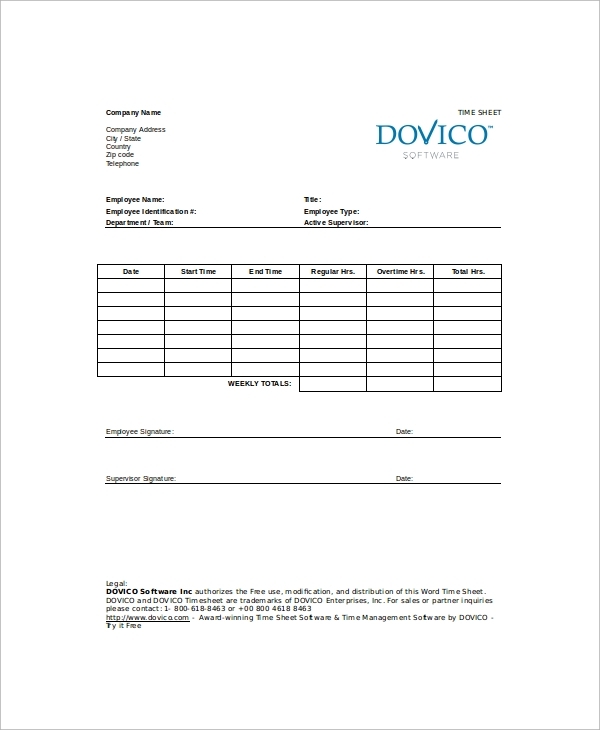 Finally, the end of the document there should have the employee’s and supervisor’s signature together with the date. 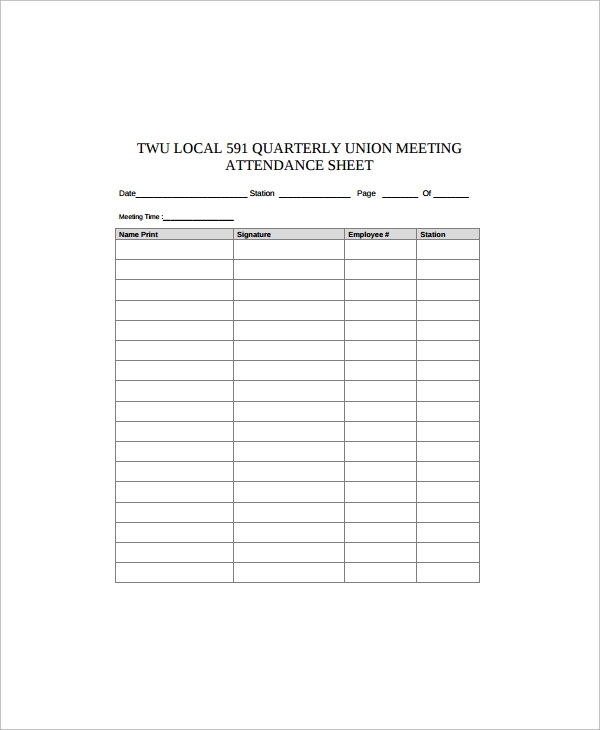 The paper requires a title indicating the name of the entity and showing that it is their meeting’s attendance sheet. Following should be a date and the place where the meeting will happen. After that, include the meeting time and then proceed on to a table that requires you to put down the name of an employee, put his or her signature, mention the employee’s telephone number and finally indicate his branch in the entity. This is a model that monitors how an employee checks in for a training program at work. You put down the topic of the training first and then follow that up with the name of the trainer. After that, you need to indicate the time for training and the date. 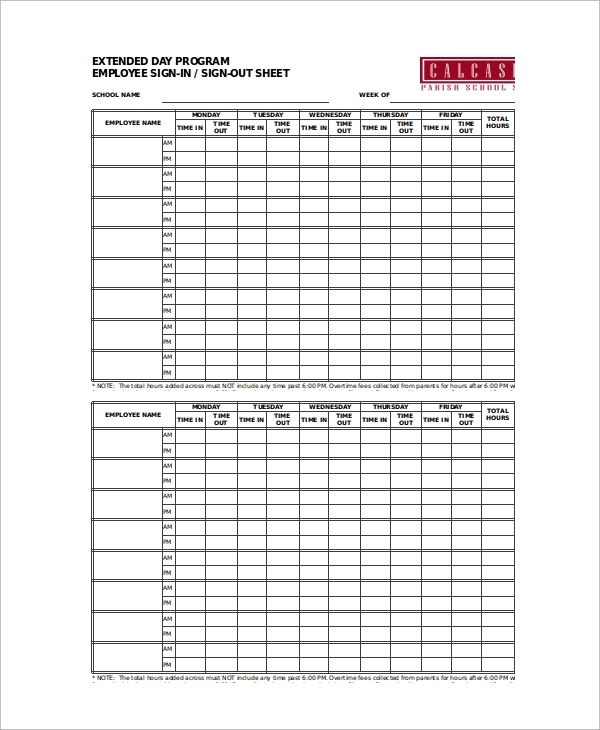 Finally, there is a table with two columns where you need to feel out the employees name and the employees’ signature. 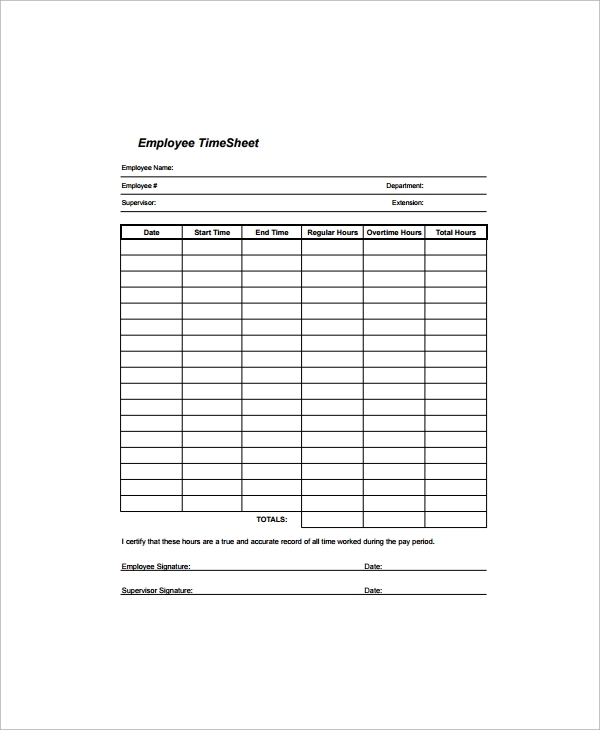 One advantage of this form is that it helps you see how your workers operate during working hours. Another advantage of an employee sign in sheet is that you always get to know the employees who are always late to turn up at work. Finally, the records of an employee’s sign in sheet are necessary because they could they act as reference documents for issues such as investigations of scandals within the entity such as theft. 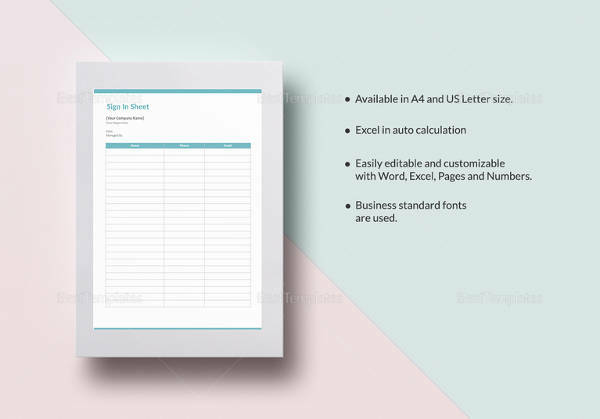 You can also see School Sign Out Sheet Templates. Our models can serve you adequately because they are readily available and they are affordable. 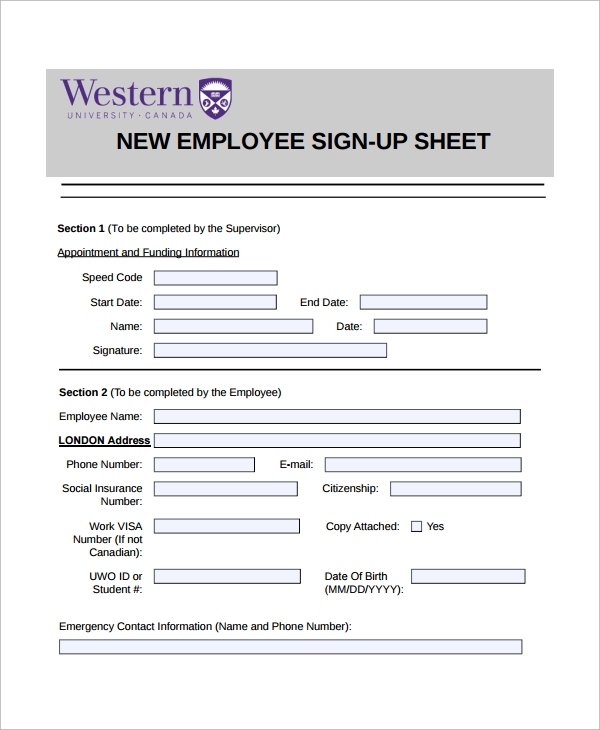 Also, they can do a good job for you because they have been carefully designed to entail all crucial information necessary to include in an employee sign in and sign sheet. 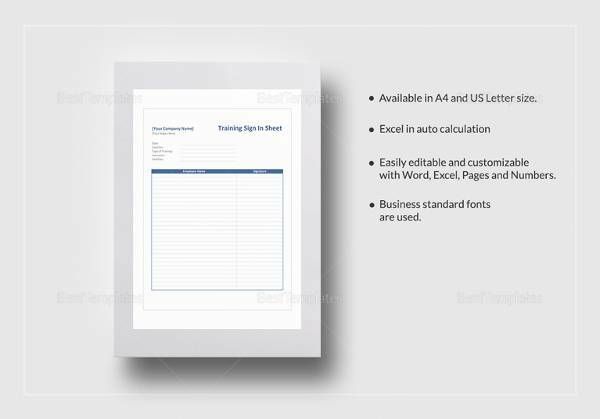 You may also like Training Sign in Sheet Templates. All our experts have prolific expertise in developing templates; therefore, you can consult them on any custom modifications you would like before you buy order for your model.